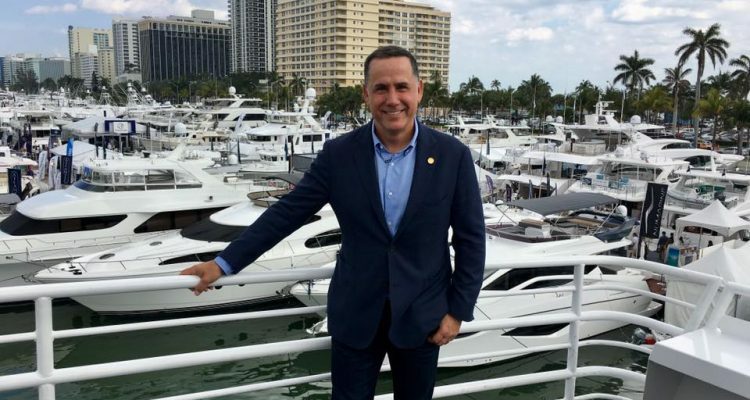 Miami Beach Mayor Philip Levine‘s showy entry Wednesday morning into the Florida governor’s race showed the Democrat is ready to take on the legacies of Republicans Gov. 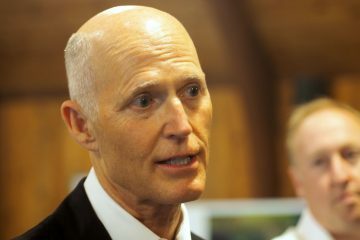 Rick Scott and President Donald Trump yet he rarely strayed from the policies and promises of the first three Democratic candidates running, Gwen Graham, Andrew Gillum, or Chris King. Levine’s 14-minute speech Thursday was a call for “doing what’s right,” borrowing that phrase from Dr. Martin Luther King Jr., and he stressed the policies he’s pushed as mayor, including proactively addressing climate change and sea-level rise, and pushing for an all-inclusive diversity. Levine flayed the policies and rhetoric of Scott and Trump, but rarely, if ever, broke new ground in the Democrats’ race, speaking of environmental and educational commitments that Graham has made central to her campaign; justice and living wage issues that Gillum has made central to his; and climate change combat and 21st century economy built on ingenuity, issues King has striven to own. Yet if Levine seeks to synthesize the broad Democratic planks carried by his now-rivals into his own campaigning, he’s doing so with a distinctly South Florida style, ending his announcement with a dance party powered by Gloria Estafan‘s “Get On Your Feet,” at a Miami campaign headquarters emblazoned with images of Martin Luther King, John F. Kennedy, Cesar Chavez and others. While South Florida houses the motherload of Florida’s Democratic votes and money, it’s been decades since a serious South Florida Democrat ran for governor. Graham has family roots in South Florida, but is of Tallahassee, as is Gillum. King is an Orlando-based figure. “It’s long past time to say we’ve had enough of the political bickering and posturing, enough of the calculated words of hate – enough of those who would tear us down and tear us apart just to score a political point. They’ve had their turn. Today belongs to us,” Levine declared. 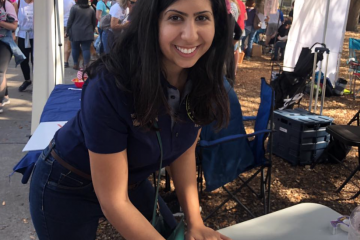 “And so today, before friends and family, and inspired by the heroism of those who dreamed big and achieved big, I am announcing my candidacy for governor of the state of Florida. “Because, like Dr. King, I believe it’s time to do the right thing,” Levine added. His entry into the race was quickly heralded by responses, including the Republican Governor’s Association declaring him “a far-left Democrat” who, the Republicans contended, has demonstrated a history of gaffes and erratic behavior and “lacks the temperament” to lead the state. Gillum welcomed him. Graham’s campaign sent out releases pointing out a new poll has her far in the lead, even over Levine. Levine also pushed for substantial increases in the minimum wage in Miami Beach to $10.31 next year and $13.31 by 2021. A battle over that is being waged in court, and the city ordinance’s fate is yet to be determined, but Levine made it clear this would be a priority of his as governor, too. Levine is independently wealthy, having parlayed a cruise industry media business into a broad portfolio of equities, small businesses and real estate. 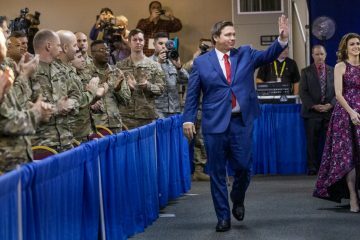 He already has donated $2.5 million of his own money to to his independent political committee, All About Florida, and has pledged up to $10 million. However, he stressed humble beginnings Wednesday, noting that he began with $500, not a silver spoon.